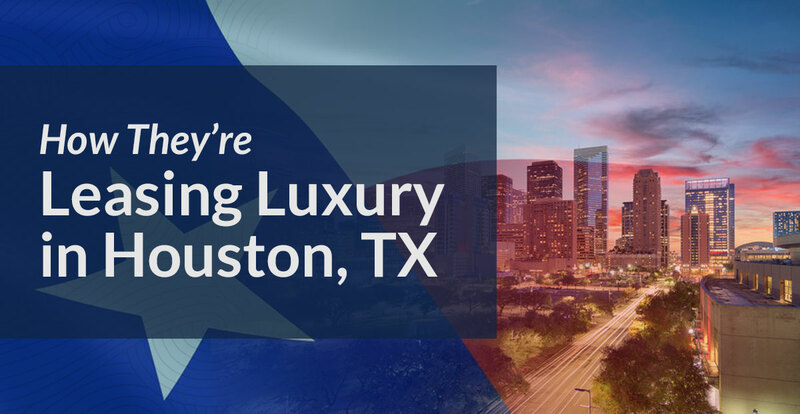 In August, I traveled to Houston to get a firsthand look at how luxury communities are marketed in the U.S. I spent my time with the leasing team at Vargos on the Lake and Kate Good from Hunington Properties. Kate is the very definition of an Apartment All-Star. With an unmatched enthusiasm for the industry, Kate travels across the U.S. each year speaking at both public and private events to share her expertise on rental marketing, including at WEBCON in 2016. Eager to expand my knowledge of luxury rental marketing in the U.S., I hopped on a plane to Houston to spend some time with Kate, and to witness her marketing experience and incredible passion firsthand. Kate's first community development, Vargos on the Lake, is a Class A community featuring 1- and 2-bedroom apartments, plus a number of 3-bedroom townhomes situated on the shoreline of Lake Vargo. The community mostly attracts singles and couples aged 20 to 50. Residents are offered a variety of opulent amenities, while the charming signage and decor around the property help build a casual and neighborly atmosphere throughout the community. Vargos broke ground in 2013 and opened for residency soon after. In the community's infancy, tragedy struck when Hurricane Harvey stormed through the area, causing billions of dollars in damages and leaving vacancy rates high throughout southern Texas. A year later, Vargos is thriving, thanks to savvy marketing techniques and a genuine concern for the prosperity of the community and the residents on behalf of the Vargos staff. 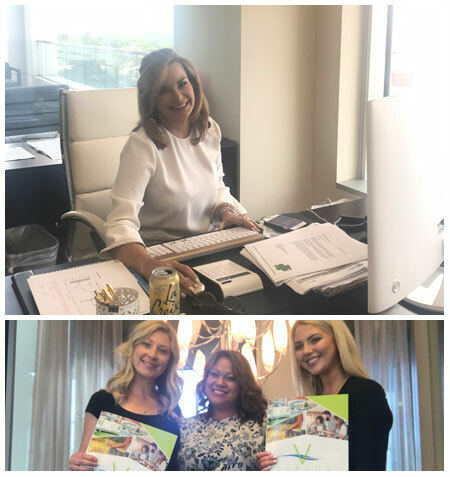 Spending a day with the leasing agents at Vargos, and the rest of my trip with Kate, helped me gain a better understanding of the marketing efforts that are required from the clients I work with every day at LWS. Here's a bit about what I learned. While at Vargos, I was given a guided tour of the community as if I was a prospect. I also had the opportunity to shadow Vargos' leasing agent, Taylor, through additional tours of the community with real prospects. The main thing I noticed throughout each tour is the consistency of the Vargos brand, which was embedded in every tiny detail from the leasing office to the staged suites. Having an impressive leasing office is important, but it sends the wrong impression when the rest of the community doesn't meet the standard set by the decor and environment of the office. The leasing office at Vargos was luxurious as well as comfortable, and I found this same combination of elements at each stop on the tour. In the property's stunning fully furnished showrooms, prospects taking a tour can open the fridge to find it fully stocked with beverages and candy, and are encouraged to help themselves. 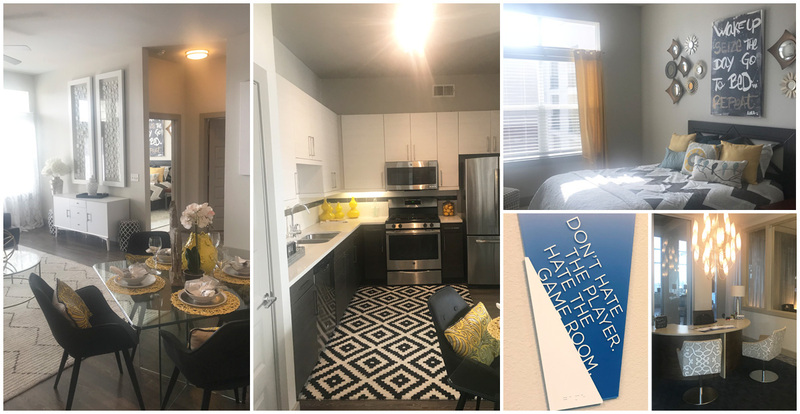 This same "make yourself at home" attitude is encouraged throughout the tour, and residents of Vargos enjoy this attitude embedded in every corner of the property every day. Amenities like massage rooms and a yoga studio, both of which are run by residents, establish a familial flow between the spaces of the community. Signs like the one that reads "Don't hate the player, hate the game room" add little splashes of personality around the property, and are great icebreakers during tours. Residents and visitors alike are made to feel comfortable and welcome throughout the property, just like Taylor made me feel at the leasing office. When I think remarketing, I think of ads on websites reminding users of something they've already been searching for. But as I watched Taylor draft a thank-you email to a prospect at the same time as I watched this prospect walk to her car, the concept of remarketing started to take on a whole new meaning. Tapping into more traditional forms of remarketing, the leasing team at Vargos creates a tailored experience for each prospect who contacts them, communicating the Vargos brand in a way that best suits the inquirer's needs. This communication begins from the first point of contact, and lasts for months. The team has a network of online strategies for keeping up with prospects. From search engine marketing strategies and SEO keywords to geofencing ads, Vargos has fully embraced internet marketing. At the same time, Vargos is careful to maintain a personal approach to connecting with prospects. Before starting the tour, Taylor meets with a prospect at her desk to chat about the community and answer any questions, getting the full picture of the home they are looking for so she can show the best suite for their needs. Following the tour, the group circles back to the leasing office to follow up on anything that wasn't yet covered and to exchange contact information. For a personal touch, the leasing team is also in the habit of sending thank-you cards to prospects who have taken a tour, as well as providing follow-up emails and phone calls 14 and 30 days after an inquiry is made. Every prospect who takes a tour or even makes a phone call inquiry is added to Vargos' customer relationship management tool. This helps the management team track the journeys of prospects who become residents at Vargos, and of those who don't. This information is used to help the leasing team determine their most successful strategies, while at the same time demonstrating the level of hospitality and care that is offered to residents of Vargos every day. While this tool is great for managing things at the office, much of Vargos' success comes from having a well-maintained, highly branded website complete with a variety of online forms and booking tools that keep the leads rolling in. A recent addition to this website includes a chatbot, which allows for instant communication between interested parties and the Vargos team, even after the office has closed. Chatbots are incredibly helpful in that they can make a connection with a prospect at any time of day. But, it's important not to rely too heavily on these tools alone. At dinner one night, Kate noticed a lead slipping away after interacting with the chatbot's mechanical conversational skills. She jumped in to make a more personal connection with the prospect and save the lead. Vargos also invests in intelligent print marketing strategies that help make Vargos stand out from competitors. The Vargos brochure that is handed out to prospects is quite large and colorful. The same level of attention is given to picturing the floorplans as it is to detailing suite, community, and neighborhood amenities. Kate insists that even on a limited print marketing budget, big brochures are the way to go! Not only does this help make a property more memorable to prospects who are shopping around, but a big brochure also gives off the impression of a big community. Shadowing Vargos' leasing agent Taylor was a delightful experience on both personal and professional levels. As a resident of the building herself, touring the community with her felt like getting an exclusive look at a good friend's new home. As I followed her on several more tours with real prospects throughout the day, I saw the same contagious excitement pass from Taylor to the prospects, and found myself setting a mental reminder to channel this energy in my own client interactions in the future. The efficacy of Vargos' remarketing strategy is backed up by the all-star team running the property. While I spent most of my time with Taylor, the property manager Steph exhibits the same energy and care that I admired in Taylor. With years of experience in the rental housing industry, Steph is committed to nurturing an enthusiastic team who loves their jobs as much as the property itself. The staff around the building were equally as friendly, and the companionship among the staff was soothing to witness as a guest. But you don't have to take a tour of Vargos to see the outcome of having a strong and enthusiastic team. Vargos' Instagram account, which has nearly 1,000 followers, is filled with fun videos encouraging people to lease at Vargos. Taylor and her co-worker Drew habitually dress up and lip sync popular songs rewritten to showcase the casual yet luxurious lifestyle Vargos offers. Showing off your team's strengths through social media is a great way to draw interest and set your community apart from others in the area. Luxury rental marketing is all about redefining what it means to be at "home." The tour process is as much about spending time in the public spaces throughout the community as it is about showing off the private spaces of the apartment units. This level of marketing is grounded in selling a community's lifestyle more so than selling its suites, and it's a direction I predict more rental marketing efforts to take in the very near future. While Vargos has adopted an increasingly technological approach to managing and marketing the property, the team has been careful not to let things get too automated. Kate emphasized the importance of the "human touch" in nearly everything she did, from jumping into the chatbot conversation at dinner, to showing me incredible hospitality throughout my stay in Houston. Taking time out of her crazy schedule, Kate personally met me at the airport when I touched down, and drove me herself to Vargos where I would be staying. I am grateful for her time and mentorship, and I'm excited to bring what I learned into practice at LWS. With over seven years of experience in the industry, I've watched rental marketing evolve alongside new technologies. 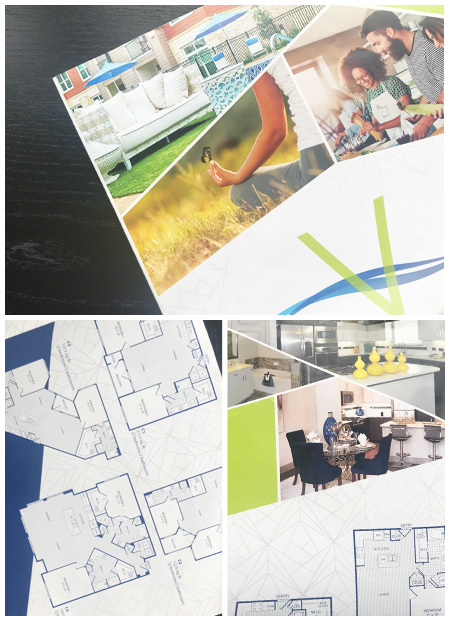 Additionally, myself, along with our team, we have created brands and collateral for new developments for Canadian clients including DMS, Homestead, KG Group, and Rhapsody. Spending just a short time with Kate Good, I'm confident that I can bring some of the most successful American trends into Canadian rental marketing practices. The industry has some incredible tools at its disposal today. Whether you're in the midst of a new construction, rebranding, or just looking for some refreshing marketing strategies, we can help connect with you the best tools for managing your properties and attracting quality leads with the utmost convenience.